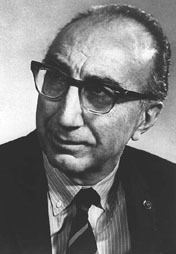 American cardiovascular surgeon Michael DeBakey helped develop modern treatments and surgical responses for arteriosclerosis (hardening of the arteries), conducted groundbreaking research of lipids and cholesterol, pioneered the surgical removal of fatty blockages in neck arteries as a treatment for strokes, and introduced several other procedures to help repair damaged hearts and arteries. He performed some 60,000 heart surgeries, published some 1,500 scientific papers, and his work added decades to the lives of patients afflicted with this disease. His students included Christiaan Barnard, pioneer of heart transplant surgery. In 1932 — the same year that DeBakey earned his medical degree — he invented the roller pump, which became a key component in development of the heart-lung machine two decades later, allowing open-heart surgery. In 1939, working with Dr. Alton Ochsner, DeBakey conducted research that provided the first substantial evidence of a link between smoking cigarettes and lung cancer. During World War II he worked in the US Surgeon General's office, and with Gordon Holcomb laid the framework for the Mobile Armed Surgical Hospital (MASH) system of battlefield medical care. In 1953 he introduced improved Dacron and Dacron-velour artificial grafts to replace damaged arteries, and in the same year he performed the first surgical removal of an aneurysm (a swelling caused by a weakness in a vessel wall) of the thoracicaorta. He was at the forefront of the development of artificial arteries and coronary bypass surgery, and in 1958 he performed the first successful patch-graft angioplasty to reverse arterial narrowing. In 1964 DeBakey and his team performed the first heart bypass operation, using a transplanted leg vein to route blood around blocked coronary arteries. He is undoubtedly best known for performing the first successful implantation of a ventricular assist device (VAD), commonly but incorrectly called the artificial heart, in 1968. DeBakey's VAD was designed to help the heart pump blood, providing assistance for the main pumping chamber of the heart in cardiovascularly weakened patients, but it was never intended to fully replace the heart. The first artificial heart was surgically implanted by a former colleague of DeBakey, Dr Denton Cooley, in 1969. With Robert Jarvik, DeBakey developed the Jarvik artificial heart, which was first installed in a human in 1982. In the 1990s, working with NASA technicians, DeBakey helped develop a miniaturized heart pump so small that it could be implanted in children. In 2006, he underwent open heart surgery to repair a torn aorta — a medical procedure first developed by DeBakey some five decades earlier. He was known to work from 5AM to midnight almost every day of his adult life, rarely taking vacations, holidays, or sick leave, and he died of natural causes in 2008, two months before what would have been his 100th birthday.